Although baby boomers and millennials are in opposite phases of their lives, they share a common desire – to reside in a care-free, amenity-rich condo/apartment environment. In fact, these two generations may be the driving force of multifamily development around the country. As one generation looks to settle into their glory years of retirement, another looks to kick off their adulthood of career and family – and both are seeking the conveniences and concierge services of apartment-living. Freddie Mac recently released a survey, “Profile of Today’s Renter” that revealed results that bode well for the multifamily sector. All generations of renters believe renting is more affordable than homeownership, more than 5 million baby boomers are likely to rent instead of buy their next home and more than 60% are not only satisfied with their rental experience, but plan to continue renting their next residence. Prior to Hurricane Harvey, Houston’s apartment market had a tremendous amount of inventory due to the overbuilding boom of 2015 and 2016. During that period, developers added 41,600 units when the area was suffering job losses. Relocations due to Hurricane Harvey flooding were able to absorb the surplus and a year after the Harvey bump, units are still full and the market has stabilized. Millennials may be the largest living generation according to Pew Research, but baby boomers have the upper hand when it comes to purchasing power and they tend to stay in one place longer than any other demographic. Millennials have exceeded baby boomers in Houston and are quickly filling up trendy apartments such as Modera Shepard, The Pearl Washington and Elan Heights. 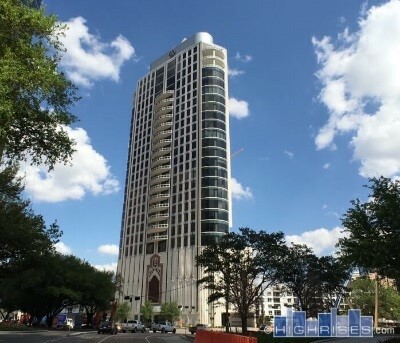 Expensive condos like Arabella and Astoria in the River Oaks area are more appealing to baby boomers with more disposable income than the younger generation. With Houston’s robust economy, population growth, high employment rate and target demographic ready to move into turnkey hi-rises and luxury apartments, why haven’t developers ramped up activity? Project development costs continue to escalate and many prime locations are not viable due to affordability of rents. Construction lenders are also cautionary. They do not want to see oversaturation of the market and have a repeat of 2015-16. Continued rental rate growth is the key for new development but what the market can afford is the key question. This is a game-changing event that underpins our ambition and intent to significantly expand our footprint in Europe and beyond, and we are thrilled to welcome GVA to Avison Young. GVA is a multi-disciplinary business working with occupiers and owners covering transactions (leasing and sales), property management, project and construction management, and consultancy, as well as planning, development and ratings. GVA covers all major property types and has 15 offices in all major U.K. markets as well as a presence in Ireland and Poland. GVA is also a founding member of GVA Worldwide Ltd., an international organization of licensed affiliate commercial real estate companies with offices across 25 countries. Including GVA Worldwide, our combined operations will have 5,000-plus professionals in more than 120 offices across 25 countries. This acquisition adds gravitas, weight, coverage and profile to our international operations as we continue to solidify our global platform while preserving our culture as a Principal-led company. Avison Young’s U.K. business will now be a genuine challenger brand firmly established among the top commercial real estate advisors in the U.K., North America and the world. The acquisition will establish our Canadian-based company as the only privately held, Principal-led, global, full-service commercial real estate services firm. More than 5,000 Avison Young professionals and affiliates – aligned with our clients – will now be delivering the next generation of solutions through our innovative, non-siloed and collaborative platform and approach. We are excited by the international collaboration potential and the opportunity to continue to build our unique partnership model. Joining forces with GVA will provide us with a greater level of scale and capabilities to service our clients globally, and to fuel Avison Young’s continued aggressive growth. This transaction is a monumental achievement for a company that embarked on a global growth strategy just 10 years ago. Even more significant, the fact that a company of GVA’s prominence and reputation is joining forces with our vision and strategy is a testament to the power of our culture. Having just spent time with GVA CEO Gerry Hughes, his management team and staff, along with Avison Young’s U.K. leader Jason Sibthorpe, in London, there is an energy and an uncommon sense of partnership at these early stages. We look forward to working with new Principals and Avison Young family members. As always, we thank our clients, partners and employees for their continued support.